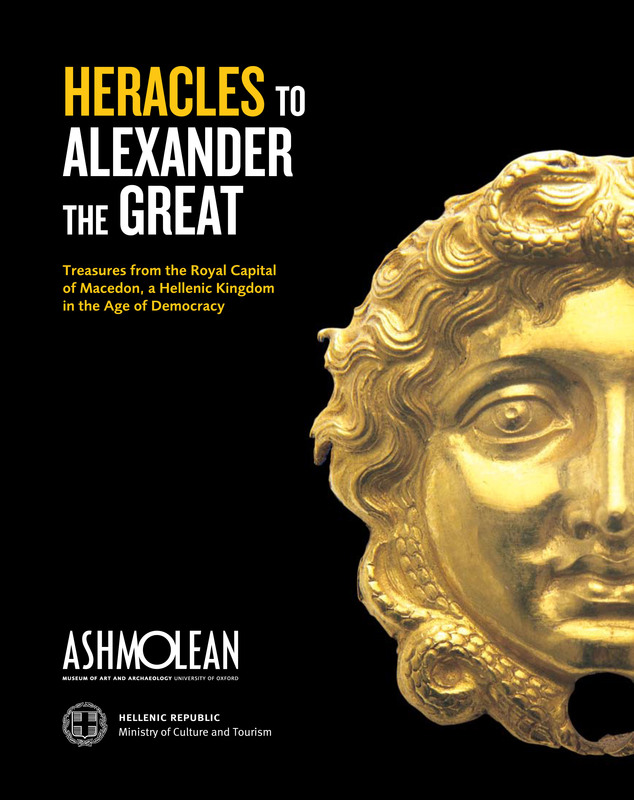 Today I visited the Ashmolean Museum and its major new exhibition – Heracles to Alexander the Great. It contains over five hundred treasures made of gold, silver and bronze, found in the royal burial tombs and the palace of Aegae - the ancient capital of Macedon, and on display for the first time outside Greece. These finds re-write the history of early Greece and tell the story of the royal court and the kings and queens who governed Macedon, from the descendants of Heracles to the ruling dynasty of Alexander the Great. The majority of the finds come from the tombs of the royal women, and the exhibition shows their important role at the court. Jewellery, fashion, and objects used for grooming, as well as sacred objects like clay heads of divine and demonic figures are absolutely fascinating and incredibly beautiful. This exhibition really does transport you to a different world, and a magpie like me can happily wander for hours looking at the beautiful jewellery! The exhibition shop is also well worth a visit, with some really lovely exhibition-related items for sale, as well as the catalogue of the exhibition for those who want to find out more about the artefacts and their history. The exhibition runs until 29 August 2011.